John Corey is a member of the Anti-Terrorist Task Force. This fictional organization based on the Joint Terrorist Task Force is a group of agents, analysts, detectives, and other careers working on the local, state, and Federal levels to counteract the ever-growing threat from terrorists and fanaticals both foreign and home-grown. Corey is one of the best operatives though his distinct lack of tolerance for political correctness constantly works against him. As the series begins, he is not yet a member of the ATTF but is a decorated, highly experienced homicide detective with the NYPD, recuperating from several gun shot wounds suffered in the line of duty. Taking his medical leave on Long Island, he is bored enough to accept a request to investigate two deaths of local scientists. This in turn puts him in close contact with the Feds which leads to his leaving the police force to work for the Task Force in the second adventure. To many people Corey presents an interesting attitude of almost not caring especially if that person is someone that gets on Corey's bad side, a not too difficult thing to do. To his friends and close ones, he is extremely loyal and will risk anything to protect them. He also will not stop once he gets his hooks into a case. As time and the series go by his attention to the law gets less and less but his desire for justice never diminishes. He is wise enough to know that the two are not always soulmates. The series sees his personal life change for the better. As it begins he is in the middle of a divorce, a separation largely due to his eventual ex-wife's decision to practice law defending the scumbags he worked to put away. A brief and enjoyable sojourn with a fellow cop, this one on Long Island, follows but he soon meets and falls in love with an FBI agent name Kate Mayfield. By the third book they are an item which grows stronger as the books proceed. Recovering from wounds suffered in the line of duty, John Corey is on Long Island when he is hired to investigate the deaths of two biologists working at the secret Plum Island facility. When he learns the FBI and the CIA have both sanitized the area, he knows something is up. His name was Asad, Arabic for lion, and he wanted to roar with hatred for the American pilots who bombed Qaddaffi's headquarters and killed his mother. Now years later he is in New York out for revenge. It is John Corey's job to track him down and stop him. The explosion of Flight 800 over Long Island was officially attributed to mechanical failure but five years later, John Corey and Kate Mayfield are certain there was far more to it and are determined to ferret out the truth. The rich and powerful members of the Adirondack hunting lodge known as the Custer Hill Club wanted to find a way to stop another 9/11 attack and they have come up with a plan that, unless stopped, could bring on incredible destruction as a result. Asad Khalil, aka the Lion, had escaped John Corey years before. Now the Libyan terrorist is back in the States determined to cause even more mayhem and destruction unless Corey and his wife can stop him for good. John Corey and his wife Kate have been sent to Yemen to help in tracking down the terrorists who attacked the USS Cole years before. They find that they are out of their element, not knowing the players or the terrain, but still able to go on the offensive. John Corey has left the Taskforce that put him up against the Panther and has returned to New York to join the Diplomatic Surveillance Group. His first assignment is to watch over some Russian diplomats at the U.N. but he finds they are nothing like they appear. 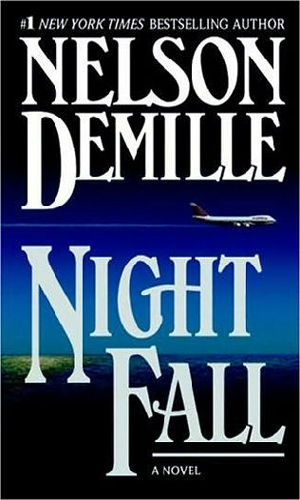 Back in the mid 70s I became a fan of Nelson DeMille through his rough and tumble, do-not-mess-with-me detective Joe Ryker. 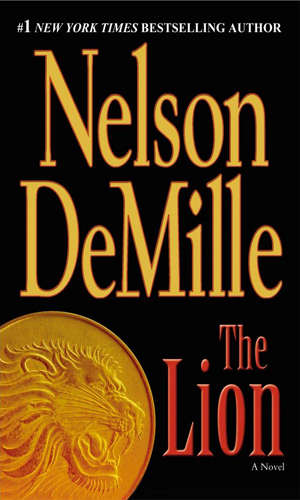 They were terrific action and darn good writing for a bang-the-gun-spat-a-bullet genre. Definitely they were two cuts above the normal fare that I seemed to live on. Then I lost track of him until the very early 80s when I picked up By The Rivers of Babylon which had come out earlier. I was stunned because this was terrific and not at all like Ryker. Don't get me wrong in that I really liked Ryker but this was so much better. Another hiatus and I read The Charm School. I was hooked for life. 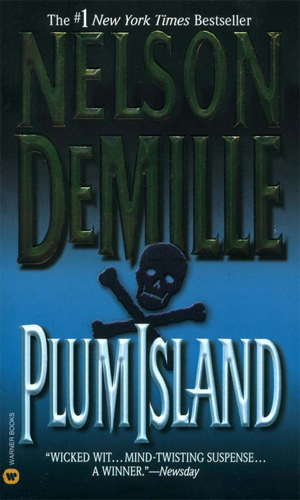 Coming to John Corey, I read Plum Island soon after it came out and enjoyed it a great deal. I did not expect a series out of it and since Corey was a homicide detective, it was not on my radar as far as my collection was concerned. The Lion's Game should have changed that but I was slow on the uptake. Luckily for me the author kept bringing incredibly good stories out with Corey as the protagonist and eventually I got the message. 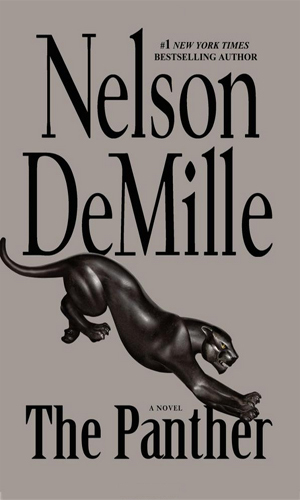 To me, Mr. DeMille is, like the other giants of the industry, a novelist and a story-teller whose main character just happens to get involved in spy and terrorist adventures. This means that the stories are going to be founded in smart, logical, believable plots and the characters are going to act and react as they would in real life. If someone gets hurt, he or she is hurt. They are not growling for a moment and then all better, whomping the bad guys as before. Scenes are presented intelligently and smoothly enough to not have the reader stopping to ask what just happened. But best of all that the author gives us is the prose. The word craft that he possesses is incredible and a true delight. I hope to have more John Corey stories. 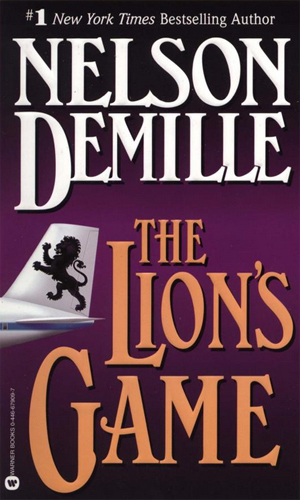 I hope even more just to have more DeMille novels to enjoy. So happy you've added John Corey to your lists. 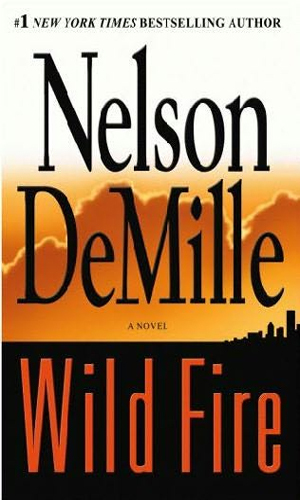 I've loved DeMille's writing since I found an old tattered copy of "Plum Island" when I was deployed to Bosnia many years ago and have since gone back to read all of his books. Keep up the overall good work on this site!